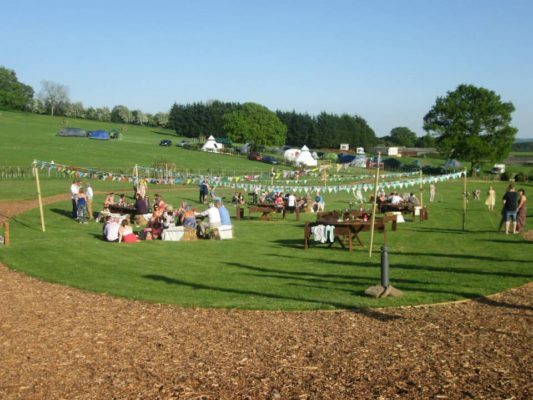 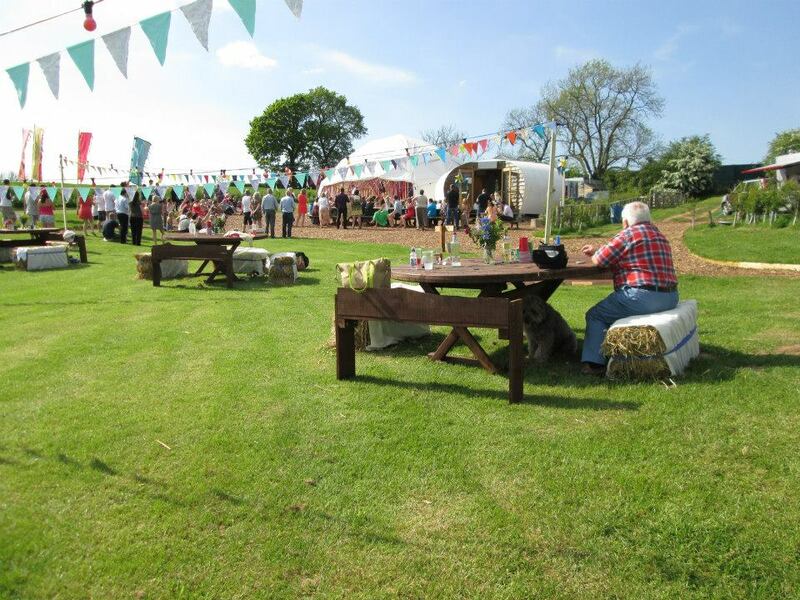 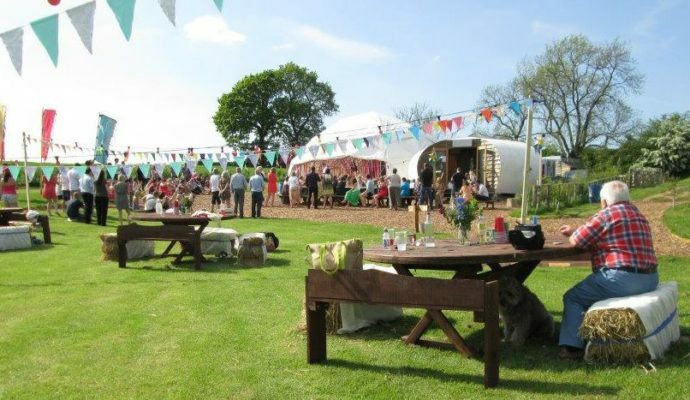 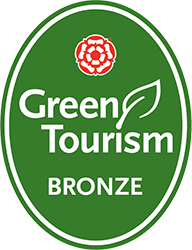 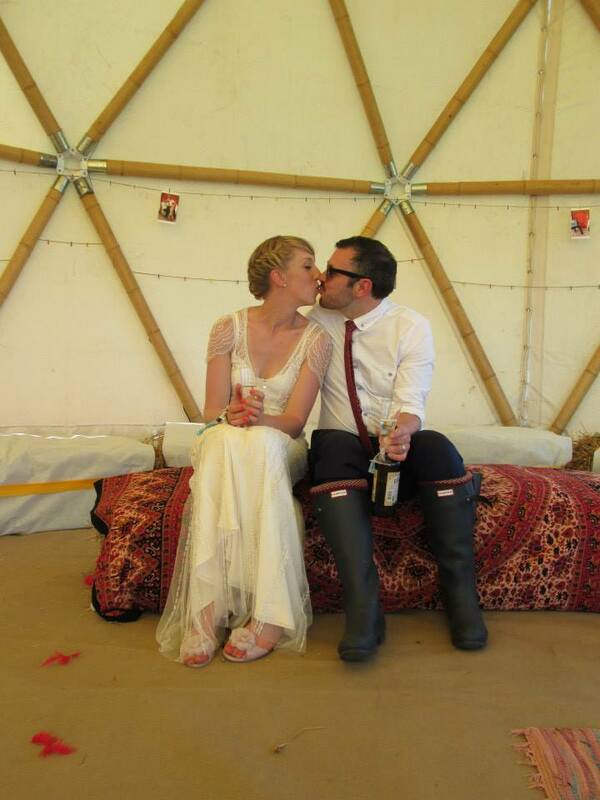 We are privileged enough to have hosted many Weddings and Wedding receptions at the Out To Grass Campsite. 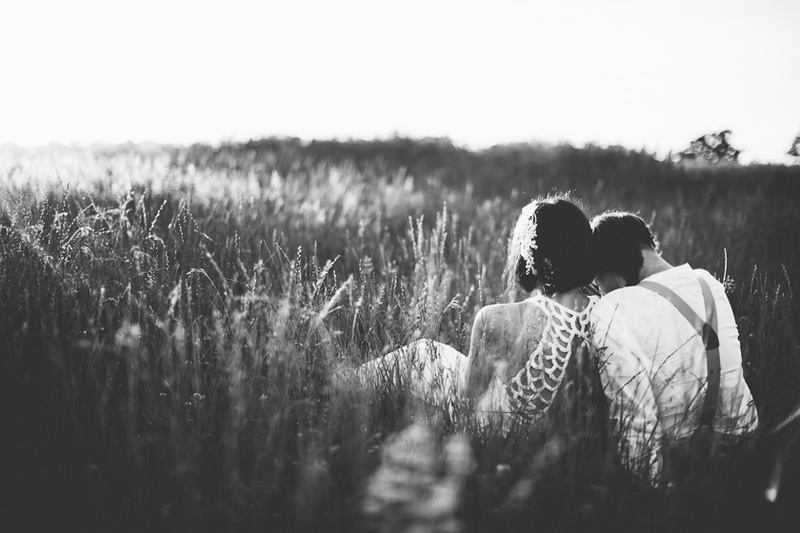 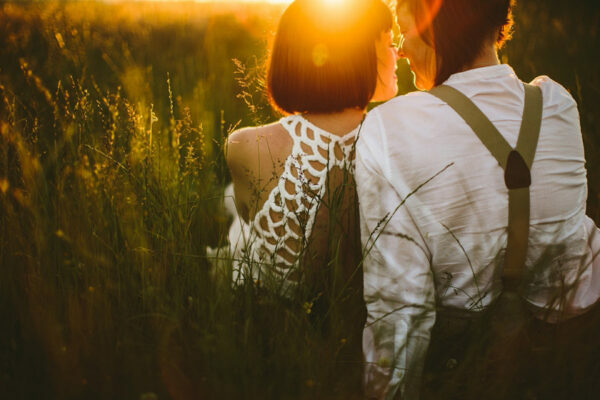 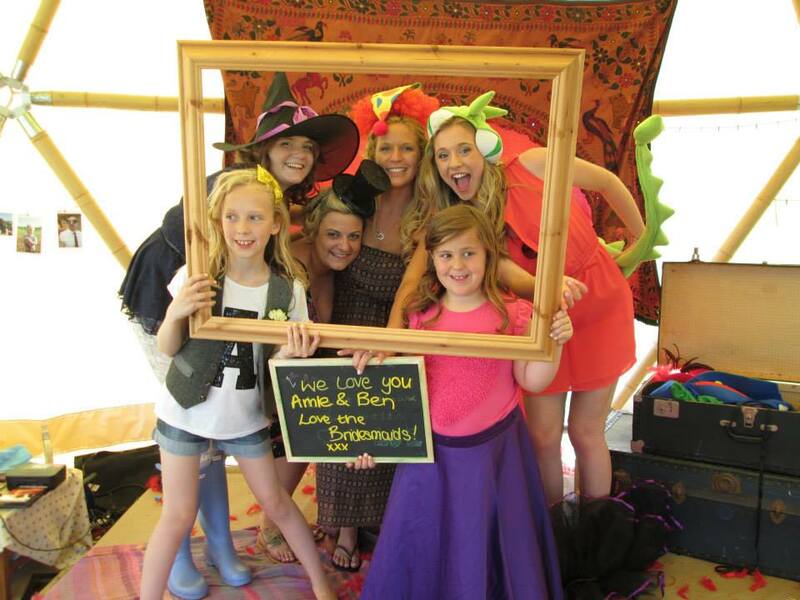 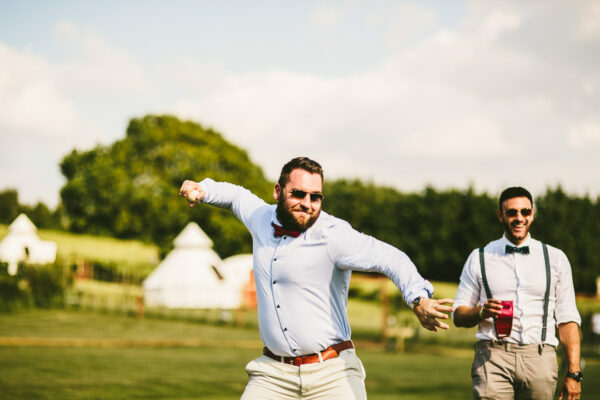 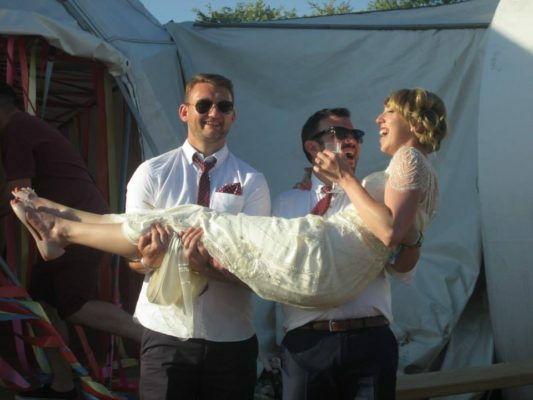 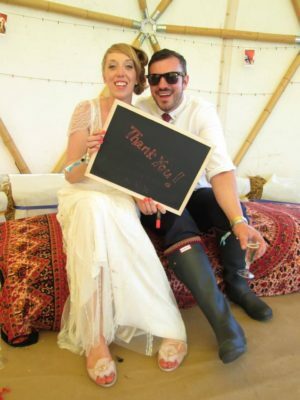 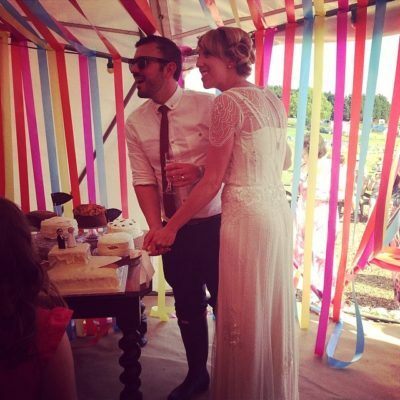 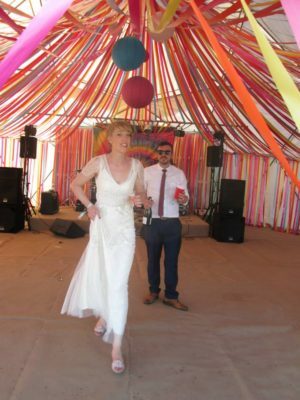 Often Wedding parties want to book the whole of the campsite and have a private wedding. 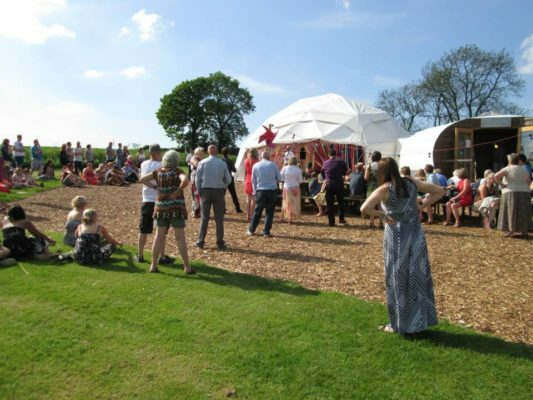 We love to hold weddings at OTG. 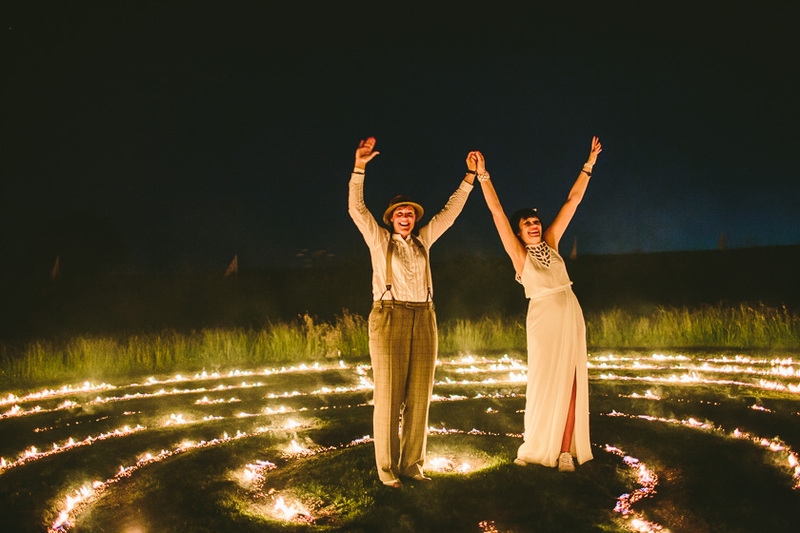 The good vibes and smiley faces seen in the photos here show exactly why! Sharing a kiss in the Geodome after an OTG wedding. 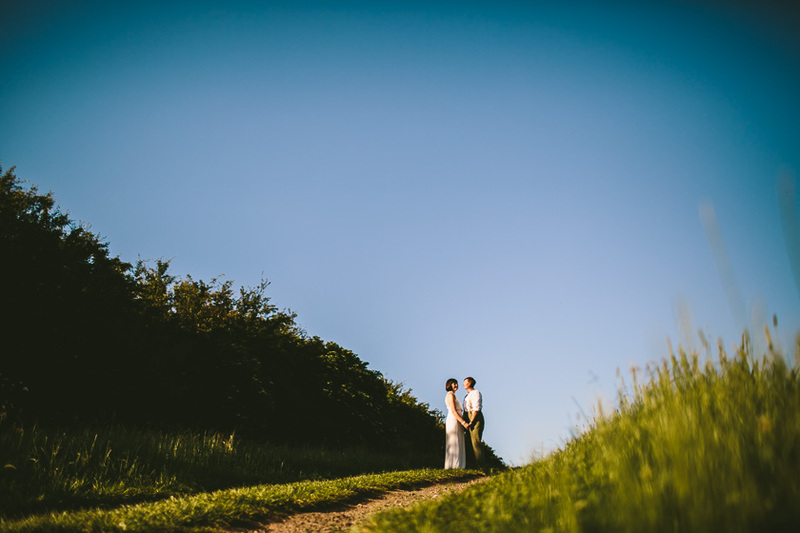 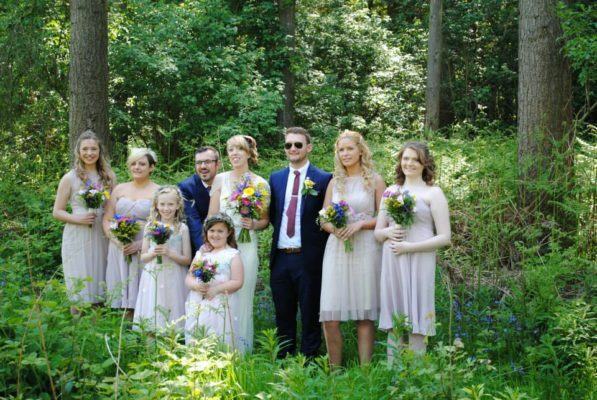 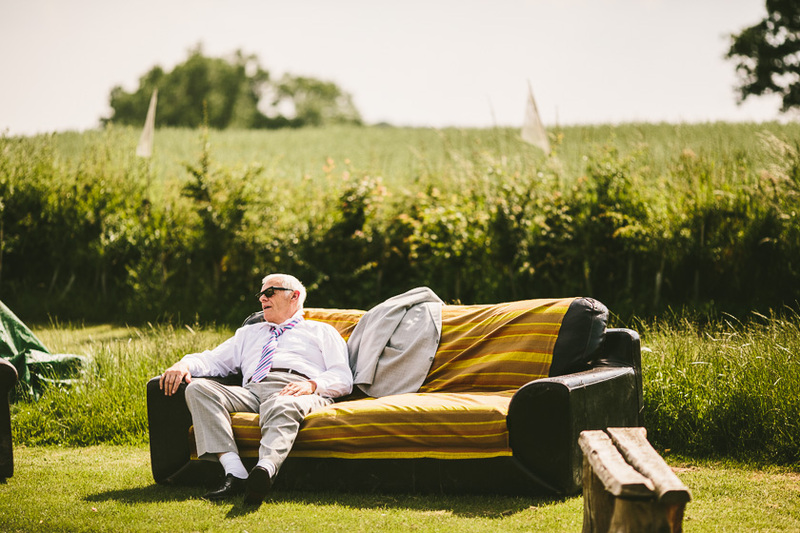 There was great weather for this Wedding at our Worcestershire Wedding venue. A great idea - you get the picture! A nice day for a colourful wedding at our Malvern Campsite.